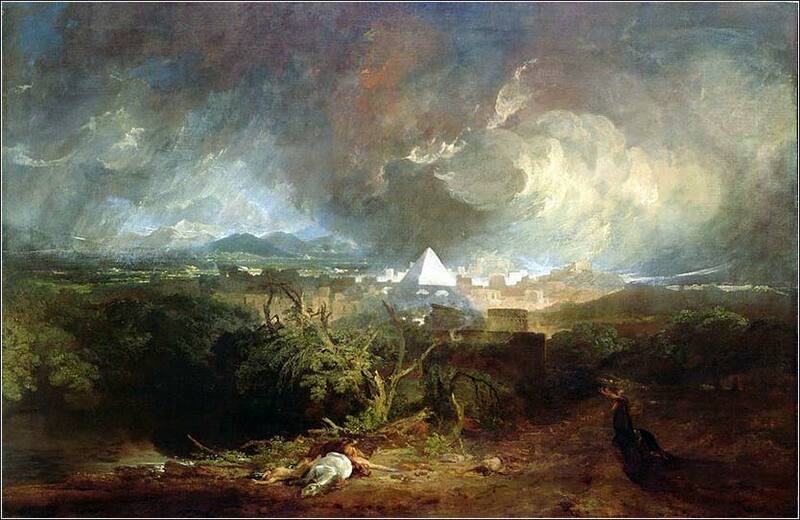 The Fifth Plague of Egypt by Joseph Turner ca. 1800. Although the dead horse in the foreground ties this to the fifth plague, Turner captures the general drama of the plagues of Egypt with his use of scope, contrast, and his trademark tumultuous sky. Paul begins this section by telling us why Israel has not fully accepted Christ, why it is “hardened” against the gospel. In a nutshell, Judaism is the price someone had to pay for the salvation of the world; for now, the Jews have become disobedient, by failing to accept Christ. God has, however, promised to redeem Israel. Remember, God made promises to them in the Old Testament; they are “beloved for the sake of their forefathers”. God promised Abraham, Jacob, and many other Jewish patriarchs that Israel would be redeemed if they worshipped Him and accepted his law. And God keeps his promises. So God still loves Israel despite their disobedience. In fact, Paul tells us that God has allowed them to become disobedient, precisely because He intends to show them mercy. He will now let the mercy shown to the Gentiles convince Jews to follow Christ, just as he had previously let the disobedience of the Jews bring mercy in the form of a Jewish Messiah, which was extended to the Gentiles. If all this is somewhat puzzling to us — why would God want someone to be disobedient just so that he can forgive them? — it is somewhat puzzling to Paul himself. At the end of Romans 11, he reminds us that this is God we are dealing with. We do not and cannot “understand” Him. 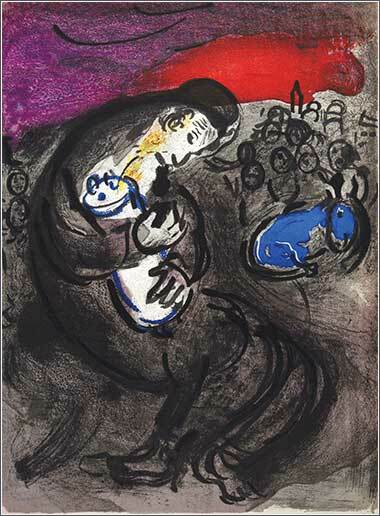 Jeremiah’s Lamentation by Marc Chagall, ca. 1956. In Jeremiah 20:7-18, the prophet laments the persecution and mockery he has suffered from preaching God’s Word to Israel.